I'm sorry if I'm jumping ahead of time here but flicking through my wardrobe I was reminded of something. Namely? Spring. And there's a very good reason for it. 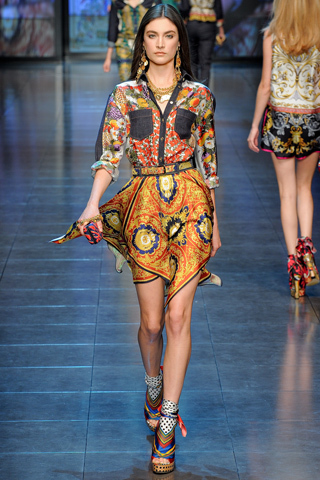 You may be familiar with D&G's last collection for SS 12. 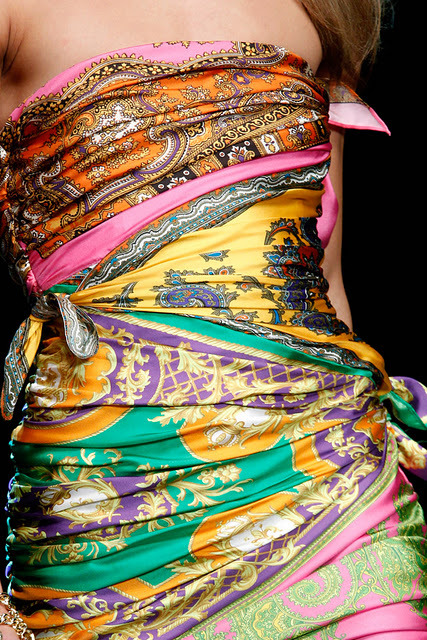 Inspiration was drawn from vintage scarves and indeed, many scarves were used to accessorise (or even create) some of the outfits. 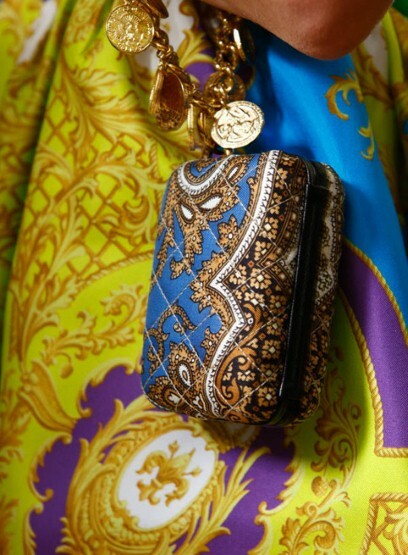 As I'm personally a huge fan of silk scarves and this is often the only part of my outfit where I go a bit crazy with prints and colours, the collection really got me excited. Soon after I saw it for the first time, I came across a pair of trousers in River Island that reminded me of this collection. 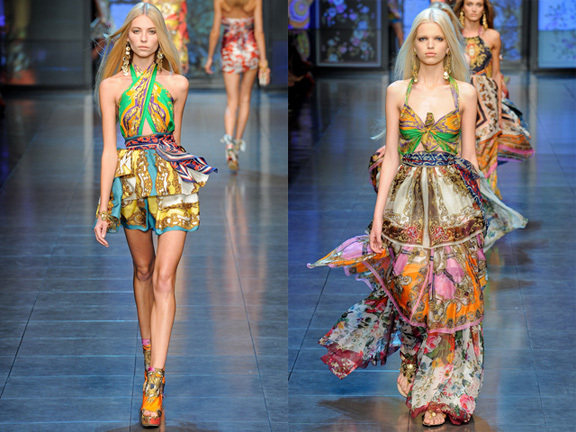 Although it was beginning of autumn and colourful prints were definitely not needed in my wardrobe, I picked them up and everytime I look at them since, I can't wait for SS 12 and these gorgeous prints. Those trousers are amazing! 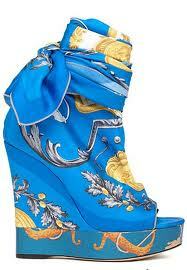 I`v been looking for a pair like that for quite some time now. And I love River Island! Recently got a pair of gold colored skeleton earrings with crowns, a gold colored deer skull with antlers on a chain, and a bunch of 6 stack up bracelets, all different - for 10 euro! Love the sales they have! Oh and hello from Cork, loving your blog!